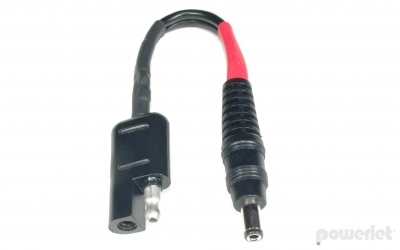 Convert a battery charger (Battery Tender or Yuasa) to a heated clothing coax battery harness. Also good for converting a SAE heated liner sleeve to a coax male for heated gloves. 4" long.